When assessing the best way to possible to rebuild Brazil and Chile’s higher education model, the Ministers of Education will need fast-acting, logical ideas that support sustainable efforts to reconstruct an outdated university infrastructure. The current dysfunctional system which students continue to protest, minimally prepares those enrolled to enter a competitive, financially delicate, intricately complex, technologically advanced marketplace. Prior to his new political position, Beyer previously served as Deputy Director for the Center of Public Studies (CEP), a public opinion poll company. He’s also served as Education Committee Coordinator, working with Chile think-tank organization, the Tantauco Group. In 2008, Beyer also worked closely with the Council Rectors of Chilean Universities delegation. But most importantly, in 2006 Beyer sat on the Presidential Advisory Council, convened at the time by President Michelle Bachelet, to help address the ‘Penguin Revolution’ student protests. Students leaders fear concern that… although Beyer possess genuine academic leadership expertise, his background includes little political experience; therefore it’s likely that his committee will be unable to meet their demands for an end to Chile’s class-based education system. Challenge(s) ahead… Planning/executing a proactive strategy that diplomatically albeit efficiently resolves how to deal with mounting student protests, which polls show carry a 70% national approval rating supporting their demands. Mercadante’s political career really began when he helped establish his political party system ‘The Workers’ Party’ in 1980. He was later nominated to office as a São Paulo State Senator between 2003 and 2010. 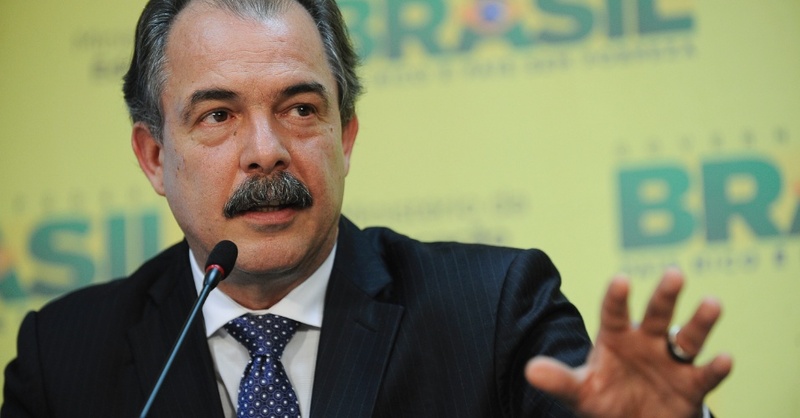 After accepting President Rousseff’s 2011 cabinet bid nomination, he served as Minister of Science, Technology & Innovation until 2012 when he changed responsibilities. Students/Professors/Academic leaders fear concern that… Mercadante’s committee will fail to create an education environment that helps two million voting teachers gain access to more adequate resources, professional training, and technological skills. Sustainable, improvements will only take place when national structural polices begin to change. Challenge(s) ahead… Designing/implementing unprecedented reform to improve almost every aspect concerning education that will better prepare Brazil to handle the 2014 World Cup, and 2016’s Summer Olympics. Mercadante will also need to build programs that help Brazil reach a 30% university enrollment target and a 98% goal to put lower education children into school by 2022. There’s also a huge ‘regional inequality’ discrepancy between the country’s Northern and Southern cities and anxiety about the 1.7 million 15-17 year-old students currently not attending school. Tackling the many issues causing bureaucratic rift between a government and the country’s academic institutions will understandably require patience, confidence, and several Ministries of Education entering and exiting office terms, but it’s the gradual cost necessary to make long-term reformation a reality. However, if Beyer, Mercadante and Latin America’s other representative candidates initiate a pledge to collectively start making a effort to fix higher education, then the entire region’s academic communities will be better served by their collaborations. Because after all, it’s not a true ‘reformation’ until the Ministers decide to play a leading part. As Latin America media systems continue to study and utilize the latest trends/technology to build stronger digital networks across the entire region, at the same time both governments and corporations have been examining different ways this revolution will benefit their specific individual interests. In his latest manuscript, Dr. Jairo Lugo-Ocando approaches this exact subject with a country-by-country analysis that explores relevant aspects of the media in each society. While analyzing the interrelationship of Latin America’s regional media to issues involving ownership, regulation policy, film, music, advertising and digital networks remains a Herculean task –Dr. Lugo-Ocando rises to the challenge and provides exceptional observations. Indeed, any student, professor, or researcher that’s pursuing research addressing international socioeconomic issues or foreign diplomatic relations needs to order this title post-haste. Other works written by Dr. Lugo-Ocando include such titles as: Statistics for Journalists (2011), ICTs, Democracy & Development (2009), and Glosario para Periodistas (2001). Although he practices as an internationally known faculty expert, teaching Journalism Philosophy and Practices at one of the UK’s leading communications programs, Dr. Lugo-Ocando formerly worked as a field correspondent for numerous newspapers, magazines and radio stations in Venezuela, Colombia, Mexico and the United States. He received a MA degree from Lancaster University, then his PhD from the University of Sussex. His main research interests include examining ideas addressing South American Media Democratization and the interrelationship between the developing World and ‘Digital Technologies’. Outside his academic work, Dr. Lugo-Ocando currently sits on the advisory board of OXFAM-GB’s ‘Asylum Positive Image Project’; serves as an Associate Editor to the Journal of Latin American Communication Research, and the academic journal Temas de Comunicacion. In between research projects or teaching, Professor Lugo-Ocando travels frequently to speak at global conferences and has recently delivered guest lectures at various campuses including: Columbia University (New York), the Universidad de los Andes (Venezuela), and IQRA University (Pakistan). Keeping in trend to engage inquiring audiences both on and offline, one can connect with Dr. Lugo-Ocando via LinkedIn or follow his Twitter feed – @jairolugo. The first time one sees a picture of Camila Vallejo, it’s an easy mistake to think that she closely resembles Catherine Zeta-Jones, or perhaps she looks like a distant Chilean relation to newly-minted royal Kate Middleton. The 24-year old, Universidad de Chile student looks poised, bright-eyed, conversational and mostly nonchalant despite a growing paparazzi following that began documenting Vallejo’s life ever since early 2011. This spotlight attention which constantly exposes her leadership efforts to bring change to Chile’s higher education system, echoes a true-to-life reality that history’s most admired figures all learned intimately: for those who enjoy substantial privilege, there comes a great responsibility. 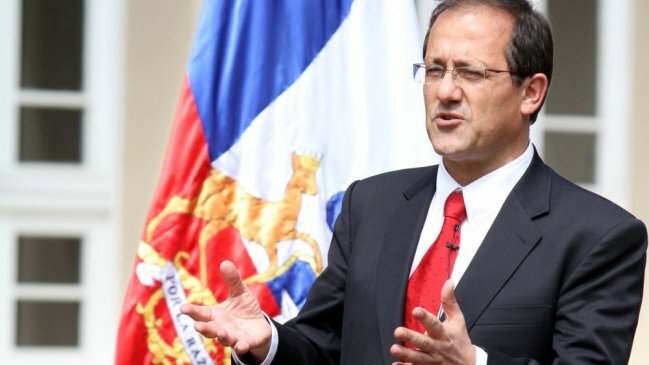 Last spring Chilean college students started organizing the demonstration in order to voice their discontent about the country’s universities shortcomings to policymakers, and quickly nominated Vallejo as the movement’s premier spokesperson. Aware that such a role required one to stifle their anxiety, maintain composure and act peacefully, she eagerly pledged a commitment to support the initiative. One year later, her involvement receives international media coverage whether she’s traveling to meet with other Latin America students or just grabbing a coffee while waiting to begin the next speaking engagement. A interview feature for UK-based, The Guardian, reports that the events concerning Chile’s higher education carry big political implications, “Sebastian Piñera, Chile’s president, has just 22% public approval ratings, the lowest ever in Chilean history.” Apparently the girl from Ipanema needs to take the back seat, because the world’s attention recently shifted to studying a young reformer hailing from La Florida. Comparatively, although the ‘@GurlFromIpanema‘ describes herself as a ‘world traveler/saleswoman,’ who loves art, cocktails, and salsa; @Camila_Vallejo’s credentials date back to 2008 when she began acting as a prominent counselor to ‘Fech’ – also known as the Federación de Estudiantes de la Universidad de Chile. Shortly after this, she was voted the organization’s November 2010 President. It’s a shining testament to her character as the 105 year-old student union nominated only one other female president. Although her bid to win another presidential term failed, her growing web presence will certainly prepare one to endure a political career long term. In addition to building an extensive YouTube archive, her Twitter account alone connects with 590,000+ followers. Moreover, Vallejo’s online presence also expresses the empathy she feels toward similar movements taking place all over Latin America. This past summer when Mexican university students kicked off the ‘#YoSoy132′ movement to contest recent Presidential election results, Vallejo made a trip to the capital, ready and willing to lend assistance wherever possible. These collaborative moments reassure the lingering doubts she maintains about creating truly sustainable changes. She frequently points out how “in Chile we are constantly hearing the message that our goals are impossible and that we are unrealistic, but the rest of the world, especially the youth, are sending us so much support. We are at a crucial moment in this struggle and international support is key.” Indeed, such efforts to band together as Latin America students proves an advantageous strategy as they try to overcome every new challenge involving higher education reformation. So how will a University of Chile alum turned ‘media powerhouse’, with such an extensive, international reputation play her next move? A book deal seems more rewarding than a reality TV show, so that’s exactly what Vallejo set to accomplish right before the year’s end. In Janurary 2013, Vallejo’s new book entitled Podemos Cambiar el Mundo (We Can Change the World) will come out highlighting a collection of op-ed pieces she’s written, that outline the many problems plaguing Chile’s incredibly dysfunctional higher education system. The book also discusses what Vallejo predicts will need to happen if South American countries want to adequately prepare future students to enter an increasingly, competitive, global financial market. Not including the book pre-orders from Amazon, Barnes & Noble, etc. the title already pre-sold 3,000 copies when launched earlier this fall. Fortunately, modern emerging media platforms like Facebook, Tumblr, LinkedIn, Twitter, and Blogs allow a person to track the spotlight highlighting innovative education student leaders like Camila Vallejo, and support their efforts despite one’s physical address. And in watching Vallejo’s influence gain recognition more and more every day, it’s encouraging to know that her digital footprint serves as a positive reminder… any great change starts with a single, small action. Buena Suerta mi Amiga y Continuarse!